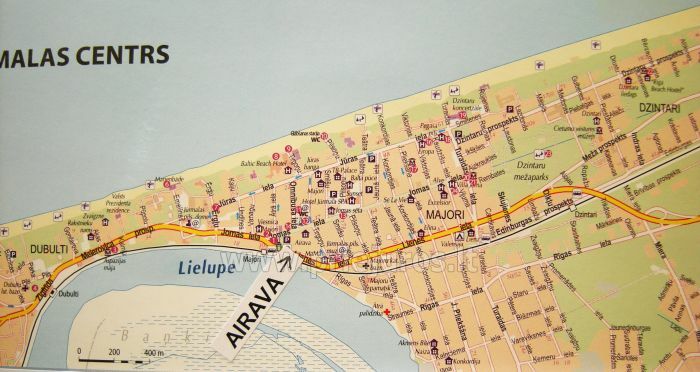 Guest house AIRAVA is situated in Latvia , Majori (the central district Jūrmala City ), at the main street ( Jomas Street ), 300 m from the beach and 25 km from Riga City . The guest house offers rooms with a simple interior and furniture. Only common-use toilets, shower rooms and kitchens are available. 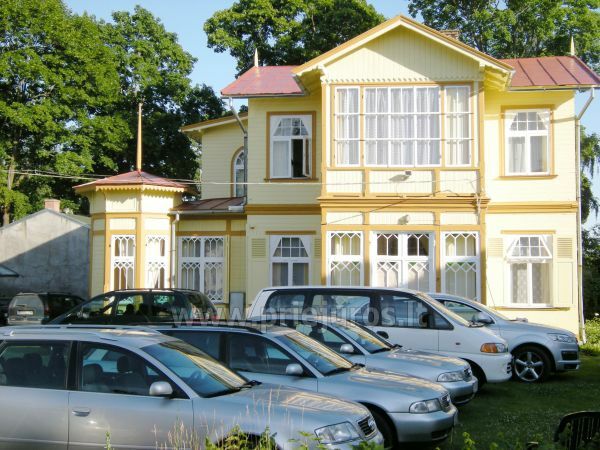 There are free parking places within the territory of the guest house. The guest house is open only during the summer period: from May 31 to September 1. 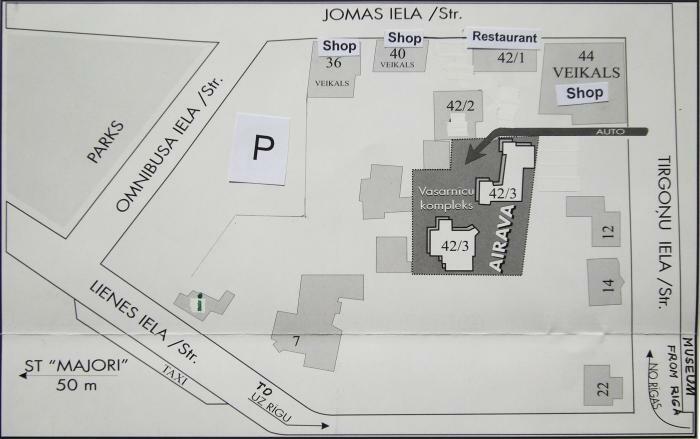 Guest house AIRAVA is situated in Majori, the central district of Jūrmala City, at the main pedestrian street/promenade ( Jomas Street ), 300 m from the beach and 25 km from Riga . Train station Majori, as well as a minibus and taxi stop is only 150 m away. Dzintari Concert Hall is a ten-minute walk away from the guest house. 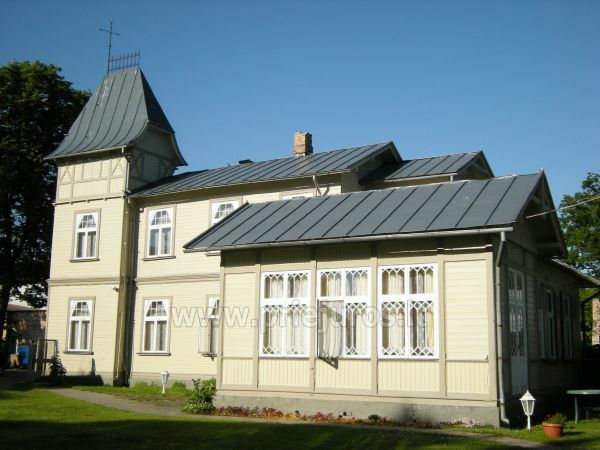 The guest house is situated in two buildings, built in the beginning of last century in the characteristic wood architecture style of Jūrmala. One of the houses is a site of architectural heritage. Both houses retain their historical layout and interior, with furniture in the style of a Soviet rest house. 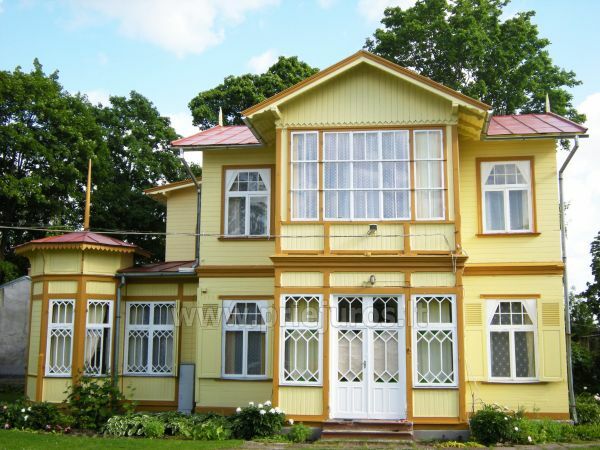 The premises have not been majorly renovated, and the furniture has also been preserved from the Soviet period, when this was a holiday house. There is a fenced garden around the buildings with free parking places. The garden also has tables for a meal or rest. The guest house offers rooms for two people (with 2 single-size beds) and three people (with 3 single-size beds). 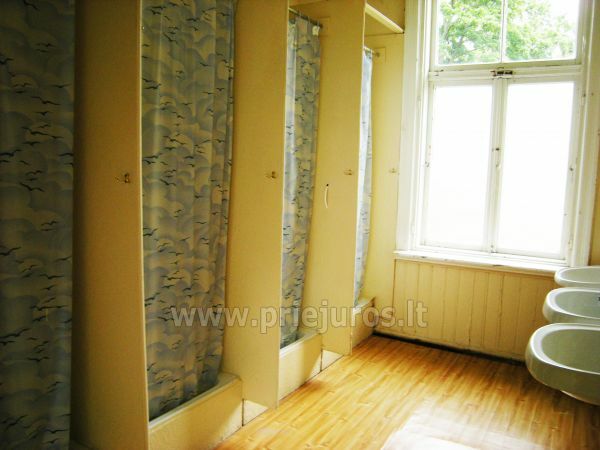 There is one room with 4 beds and two single rooms with 1 bed. The rooms have beds, nightstands, chairs, a table and closet. Beds can be placed next to each other. In almost all rooms, it is possible to place an additional bed. The rooms do not have individual bathrooms. Toilets and shower rooms (separate for men and women) are in the corridor for common use. The plank flooring is covered with linoleum. There are no air conditioners in the rooms. The building does not have central heating. Some rooms have electric heating in May and September. The guest house is open only during the summer period: from May 31 to September 01. Stay of one, two, three or four people in the room. 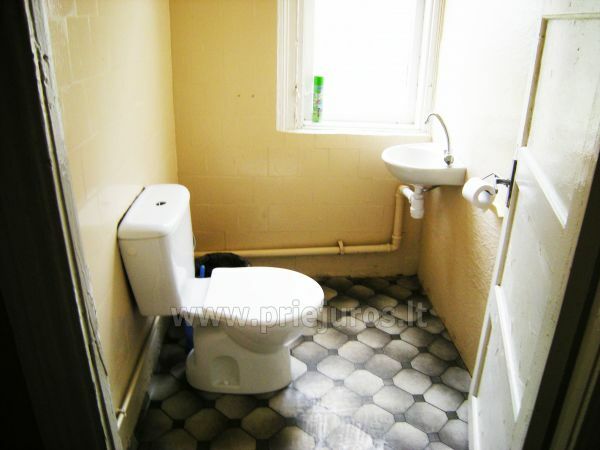 Use of all common areas: toilet, shower, kitchen. Free parking space in the courtyard. - All children under the age of 10 can stay free of charge in the existing beds (without using an additional bed). - All children older than 10 or adults who use the existing beds or do not use them (and also do not use an additional bed) can stay for 5 EUR /person per day. The price of an additional bed, regardless of the guest’s age, is 10 EUR per day (in any room and during any period). P.S. The prices are low because the rooms don’t have individual bathrooms, have not been majorly renovated, and the furniture is not new and modern. Catering is not offered in the guest house. Each building has a self-service kitchen with electric stoves and kettles, fridges and tableware for common use. There is a convenience store next to the guest house. The restaurant BISTRO is only 150 m away. There are around 40 public catering establishments (cafes, restaurants, etc.) in and around Jomas Street . The rooms are provided on a self-service basis. It means you will receive a clean room, but we will not be cleaning the room every day. The common areas of the guest house (corridors, toilets, shower rooms and kitchens) are cleaned every day. Guests must wash tableware in common kitchens themselves. A washing machine, clothes irons and ironing boards are available for self-service. Smoking is prohibited in all rooms and common areas. Smoking is allowed in the courtyard. - by e-mail: airava@apollo.lv . You will receive a confirmation when the room has been booked. We recommend using this method! - through an intermediary: travel agencies, other websites, etc. The payment for rooms is made upon check-in at the guest house. We do not require a deposit (advance payment) when booking rooms – except for the period from July 15 to July 31, when we require a deposit for 3 days (meaning that if you rent a room for 3 days or less, 100% of the price must be paid in advance). If a reservation is cancelled up to 7 days before the arrival, we will return the deposit, deducting the cost of one day. If you cancel the reservation later or do not show up, no refund will be made. In the booking confirmation or in a letter sent to you (when booking through an agent), we will specify the amount of the deposit and the time-limit for its payment. If the deposit is not paid within the specified time, the reservation will be cancelled. The deposit can be paid with a transfer to our bank account, which will be specified in the confirmation or letter. The guest house does not have a cash register, so payment by credit card or other type of cards is not possible. Payment during check-in at the guest house can be made only in cash and only in EUR. You will receive a receipt for the payment. If a transfer is made to our bank account , EUR is also acceptable. If you have made a deposit payment, you will pay the remaining amount upon check-in at the guest house. It is also possible to transfer the entire payment to our bank account. Check-in from 2:00 PM to 6:00 PM . Rooms not paid in advance (no deposit) are reserved only until 6:00 PM . If you are late, please send an e-mail or call +371 29237659 (Aina – administrator). If you have not arrived by 6:00 PM without notifying us about the delay, the booking will be cancelled. Rooms paid in advance (with a deposit) are reserved until 24:00. If you are late, please send an e-mail or call +371 29237659 (Aina – administrator). Check-out from 7:00 AM to 11:00 AM . 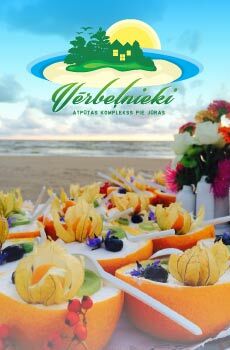 Telephone: +371 29237659; +371 29515499. Languages of communication: Latvian, Russian, English. Please choose one for correspondence. The guest house has been working for twelve years. About 50–60% of our guests are repeat visitors. They are people who need a clean room with clean linens to stay the night; they are not concerned that the rooms don’t have individual bathrooms or luxury furniture. The guest house is also chosen by people who wish to use medical facilities or spas in other hotels, but want to avoid spending a lot of money on lodging. However, if you know you will feel uncomfortable in a room without a bathroom, high-quality renovation or modern furniture, we recommend choosing a different guest house that offers the amenities you require –be aware, though, that the price will be higher. However, if you enjoy simple tidiness and order, agree to observe silence during the night from 11:00 PM to 7:00 AM , and are satisfied with the conditions described here, including the low prices, please come to guest house AIRAVA. We will be happy to welcome you! P.S. Feedback and questions from various websites will be collected and answered on the guest house’s page on Facebook. Bookings are accepted since the 1st of May!